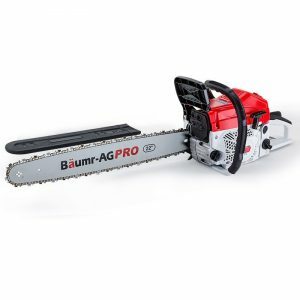 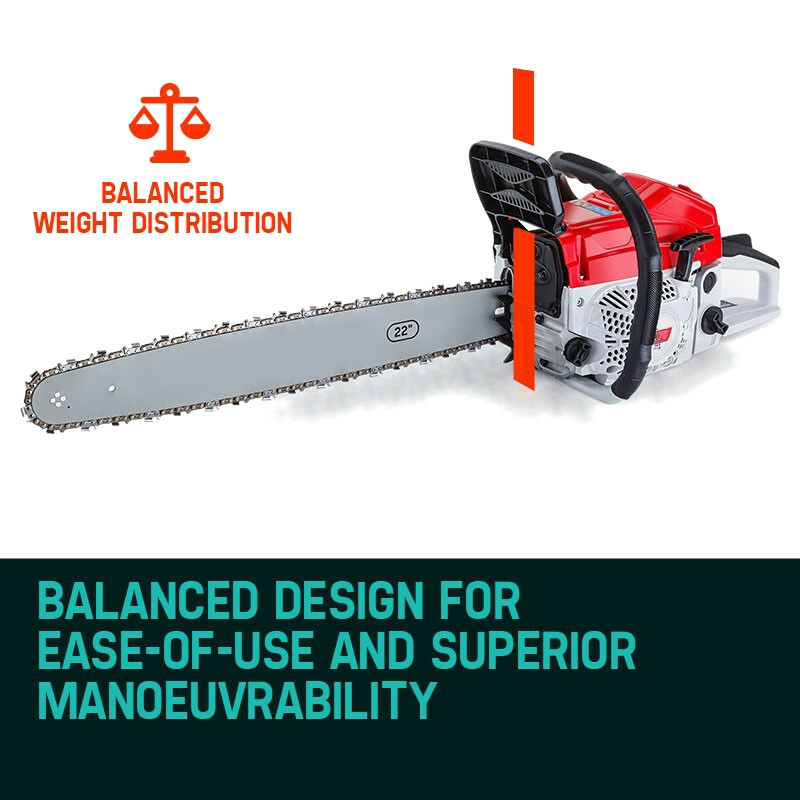 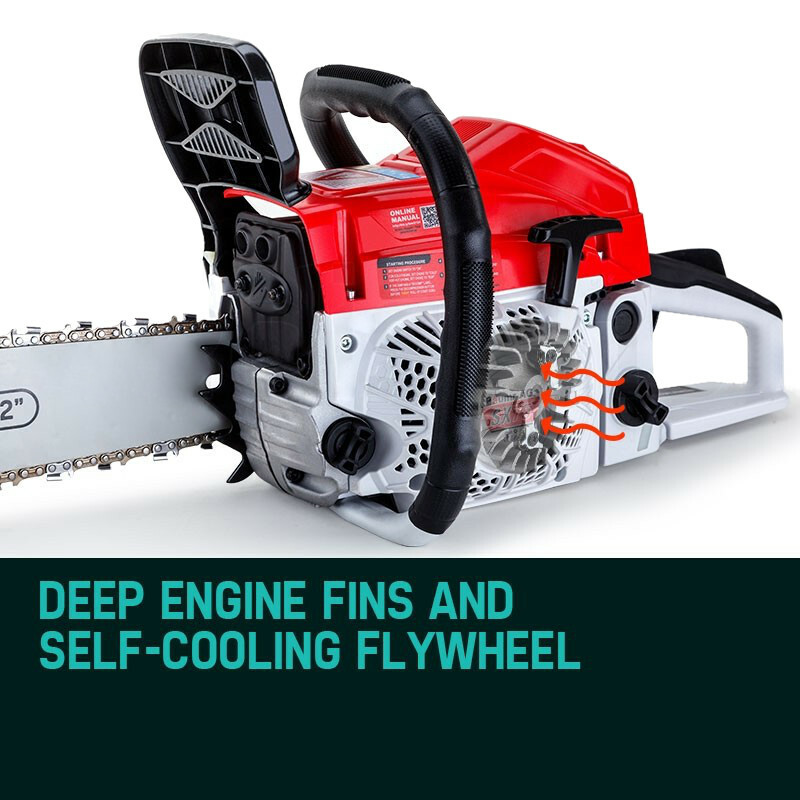 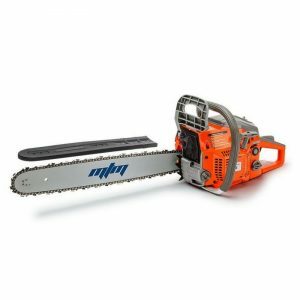 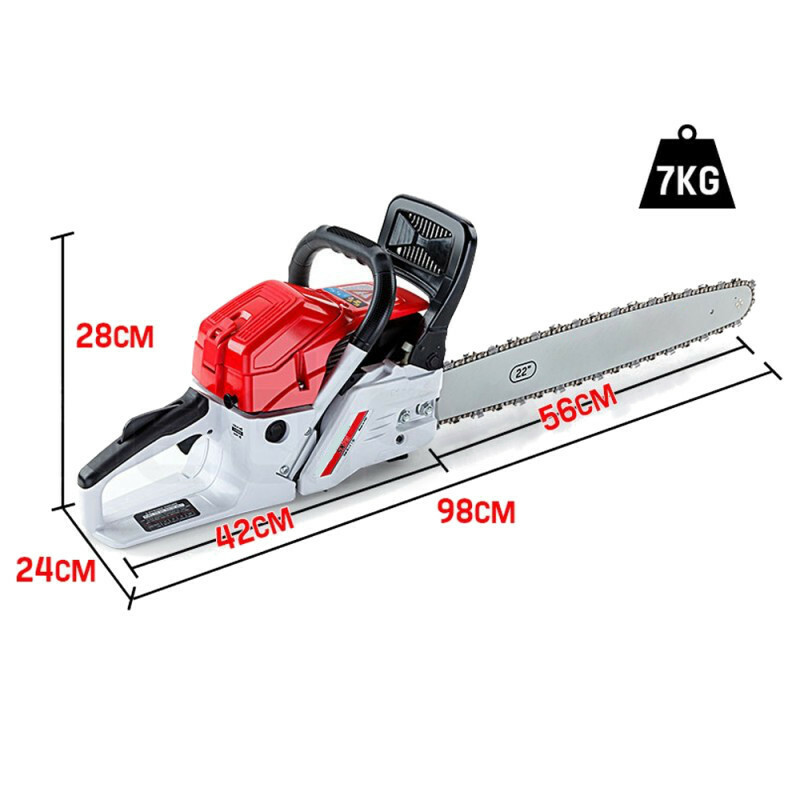 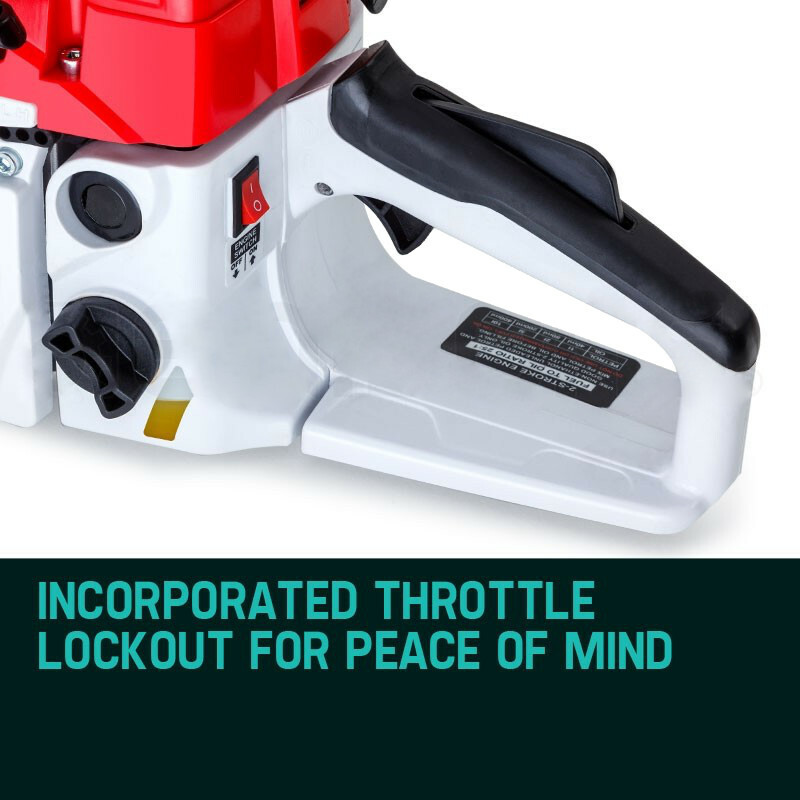 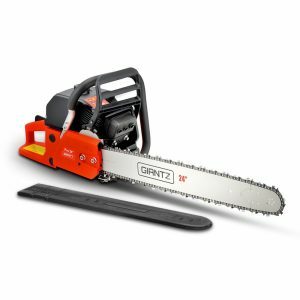 From pruning hedges and cutting firewood, to taking down whole trees, the Baumr-AG SX75 Pro-Series 22" 75cc chainsaw has all the raw grunt and features you need to take on any job. 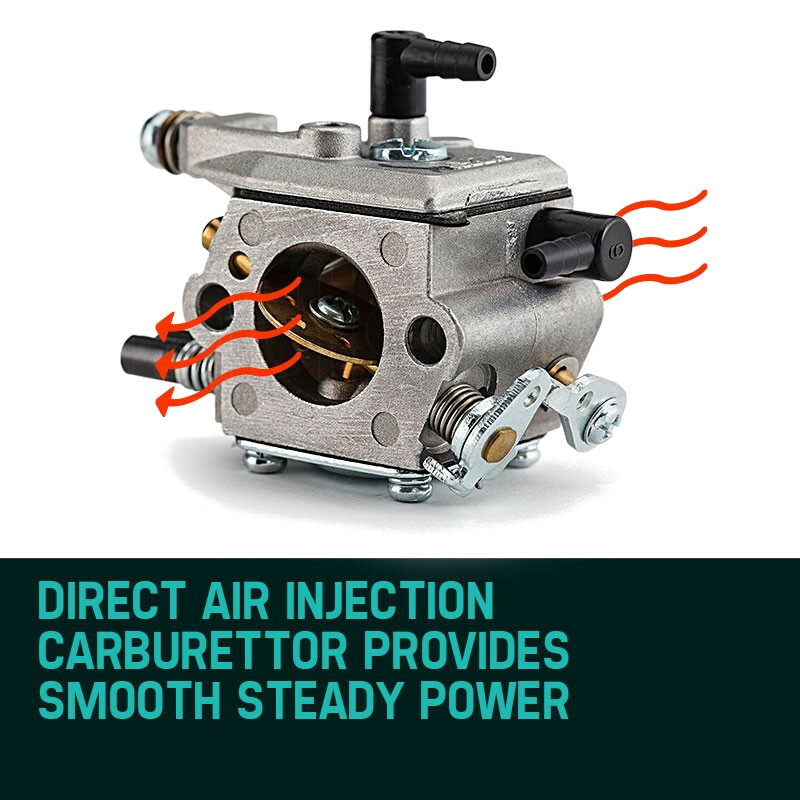 Firing up the massively powerful direct injection carburetor takes minimum effort thanks to its patented 'Easy Start System'. 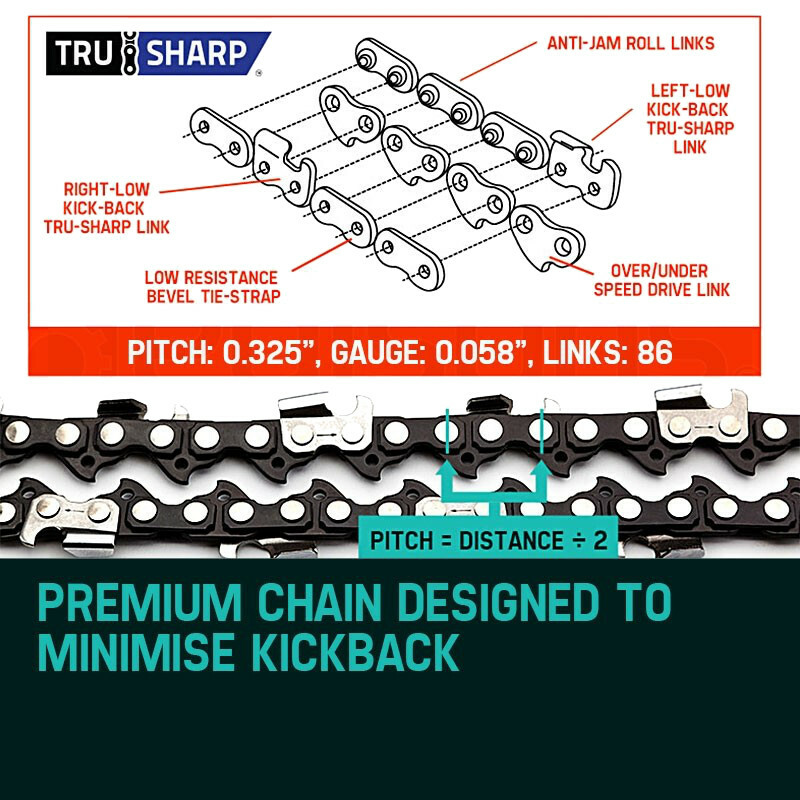 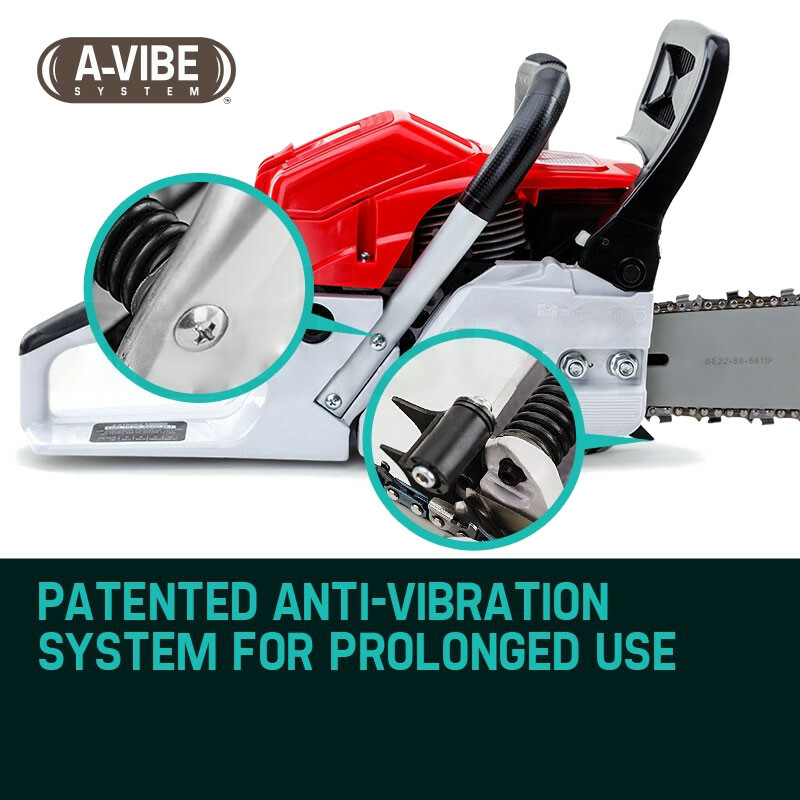 Once you're up and running the 'A-VIBE' anti-vibration feature, superior oil feed, premium saw chain and lightning fast safety brake allow for smooth performance and superior maneuverability. 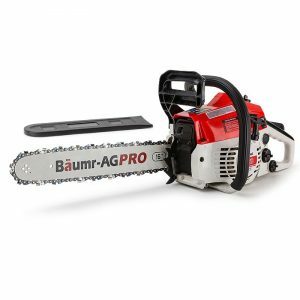 With the massive grunt of a patented air injection carburetor combining with unparalleled levels of quality, the Baumr-AG Pro-Series 22" 75cc is the perfect choice for those who demand serious commercial grade performance. 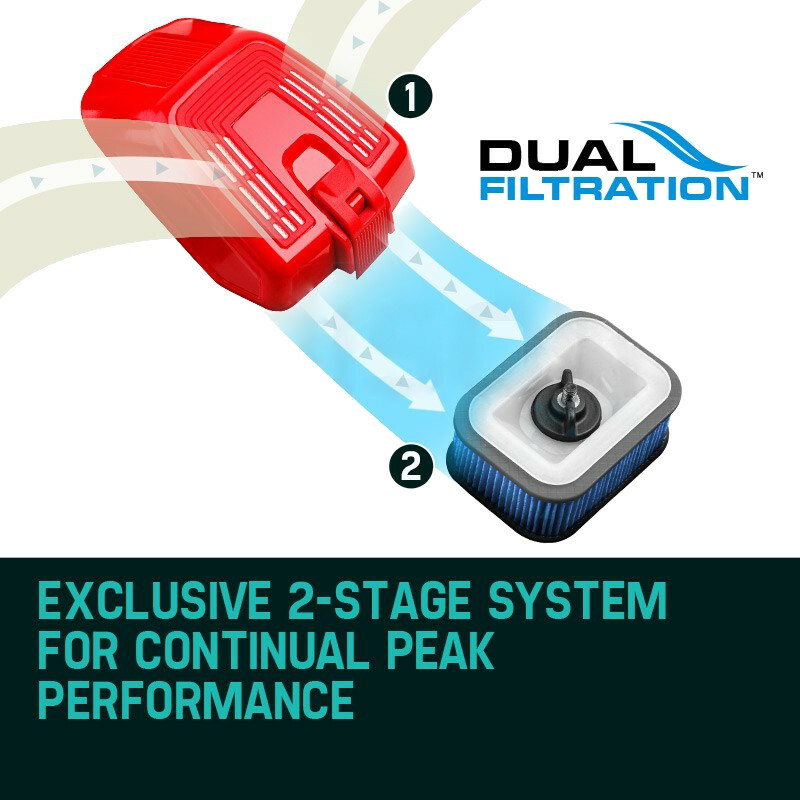 The premium air filter has increased surface area to maximize performance. 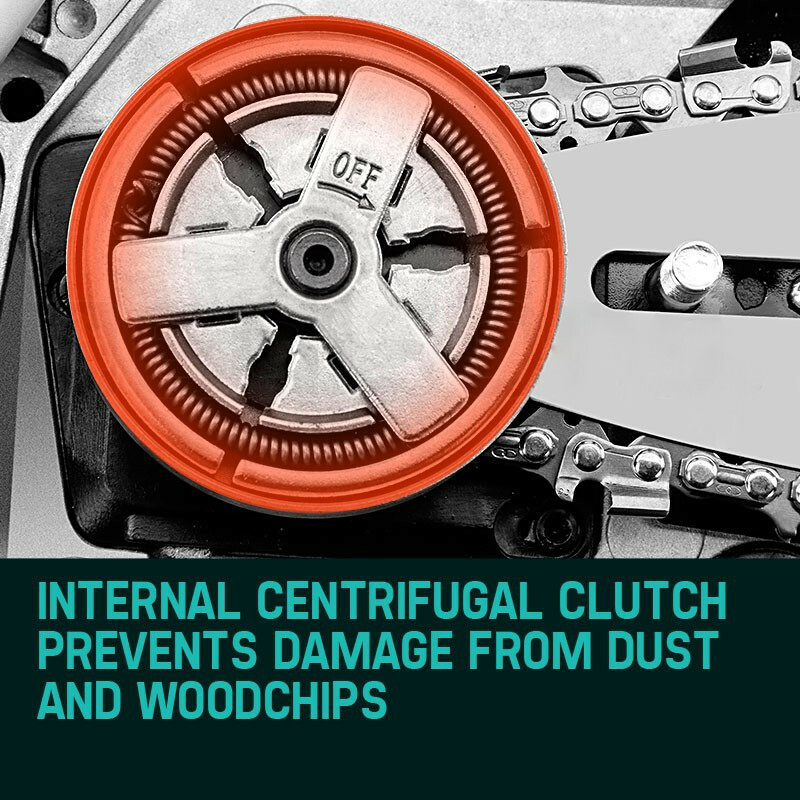 It is covered by a pre-filter to help keep the carburetor clean at all times. 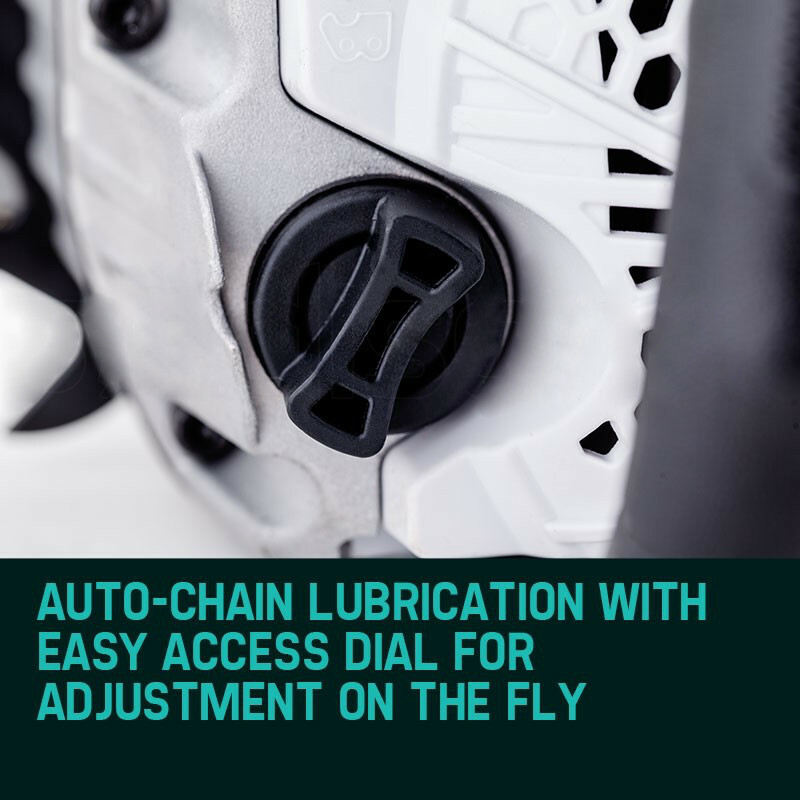 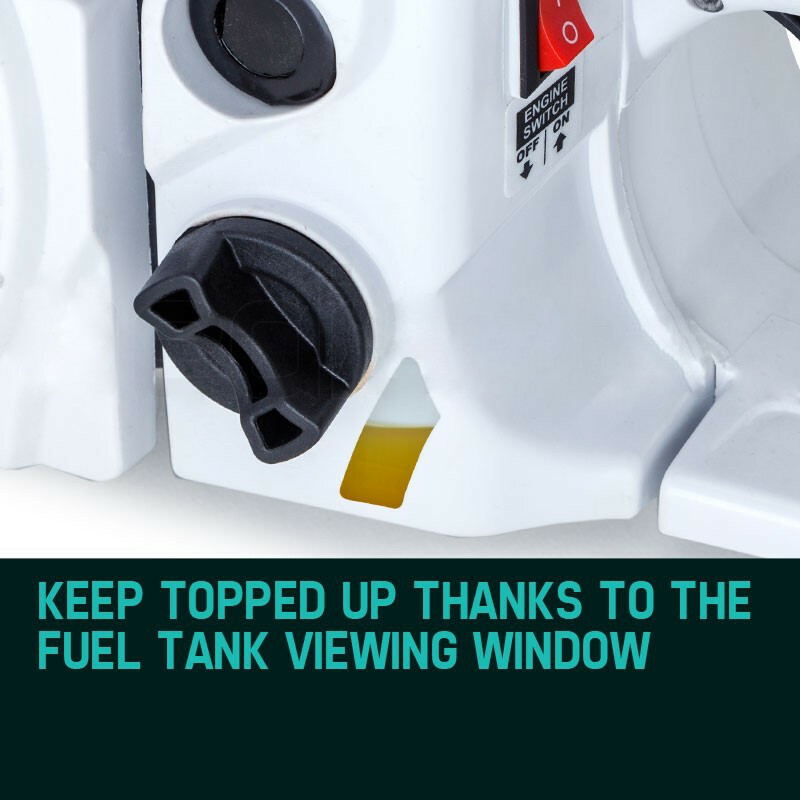 Designed for low fatigue, easy use and maneuverability, your Baumr-AG comes loaded with great features including an elastomer grab bar for smooth 360° cutting, easy to service access to the engine, filter and spark plug, plus Baumr-AG's patented Easy Start System. 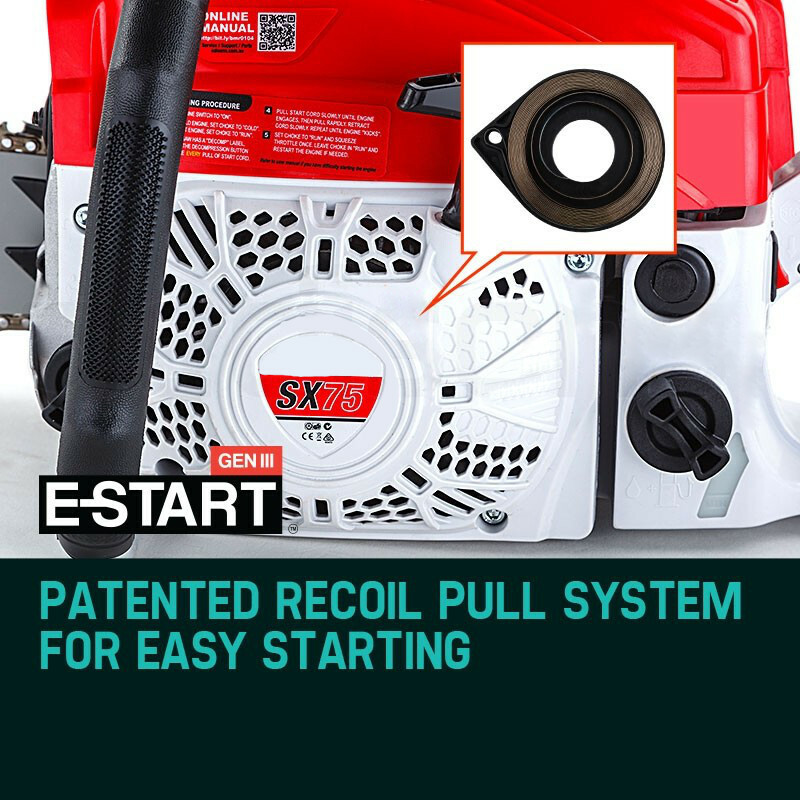 This system works by pairing two opposing memory retaining spring coils. 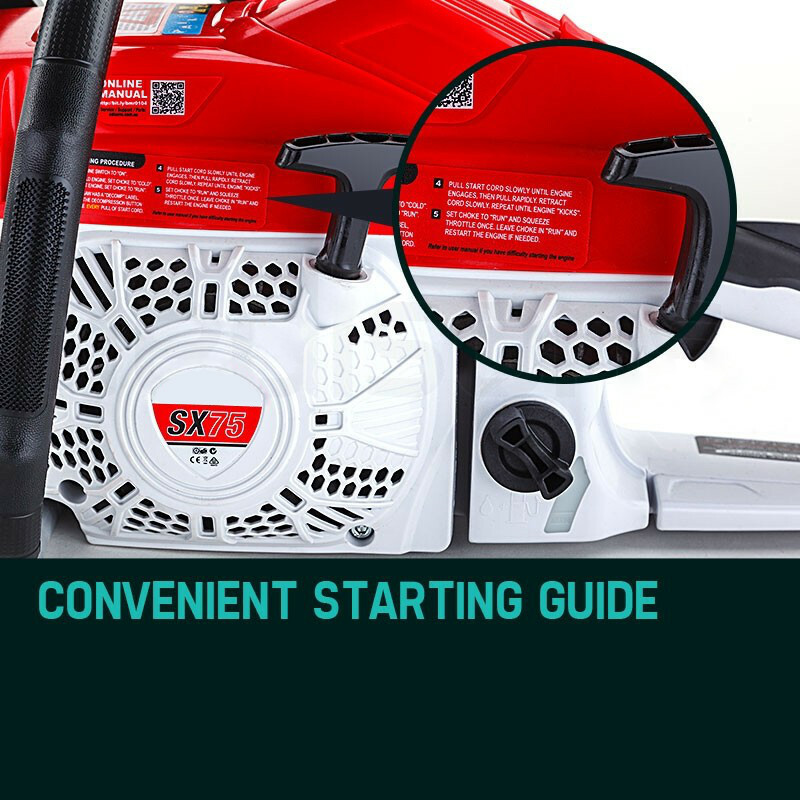 As you pull the starter cord a second coil builds energy and releases that energy all at once. 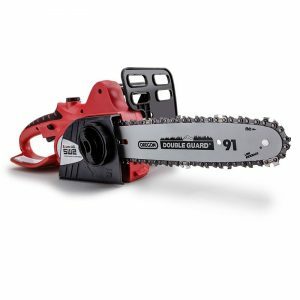 This means anyone can start this beast, first time, every time. 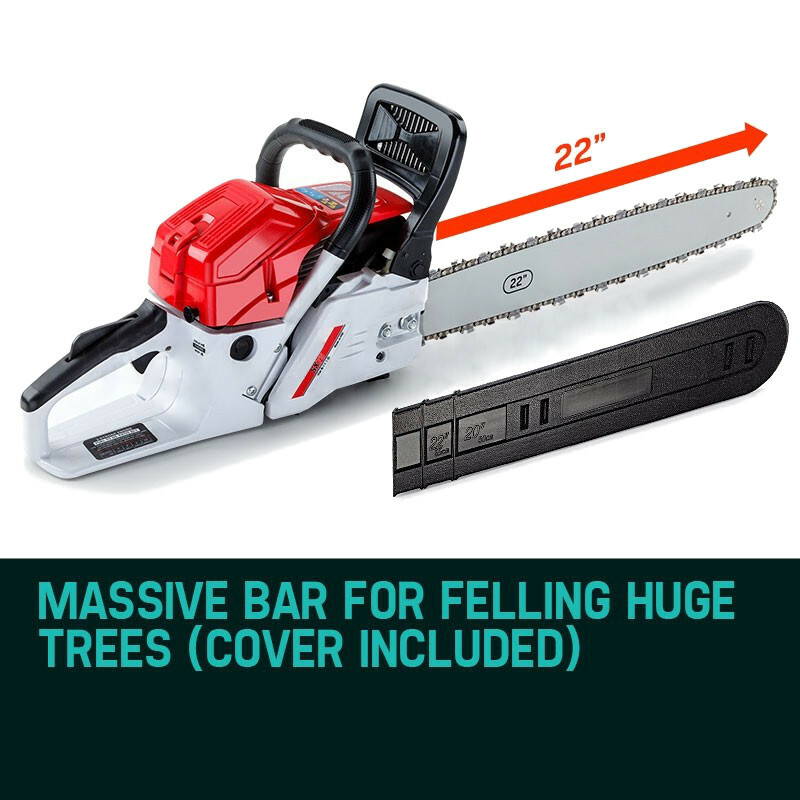 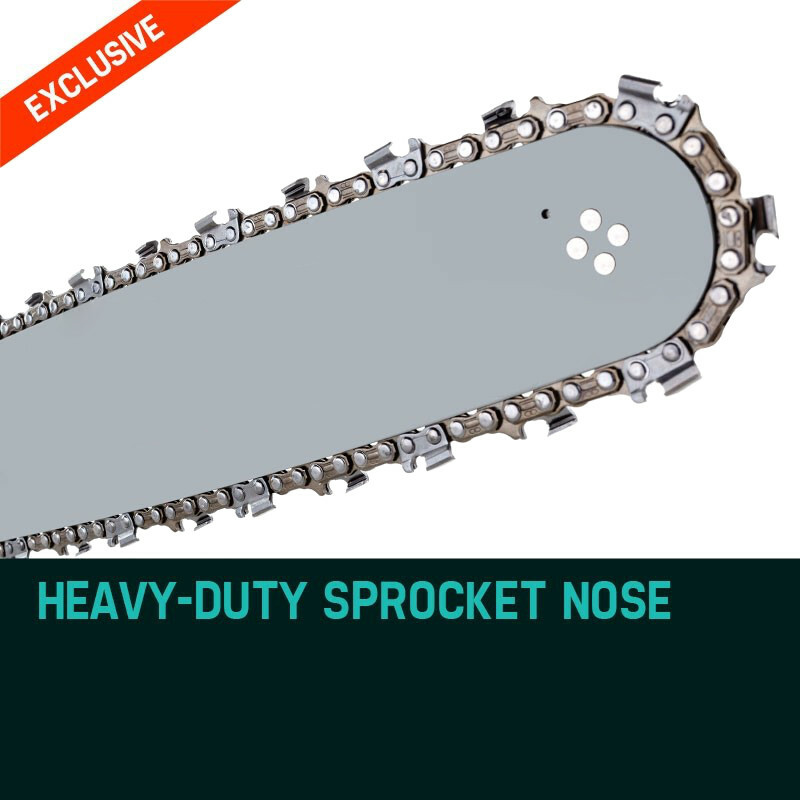 The BONUS premium bar cover offers protection to both the saw and user during transport and storage. 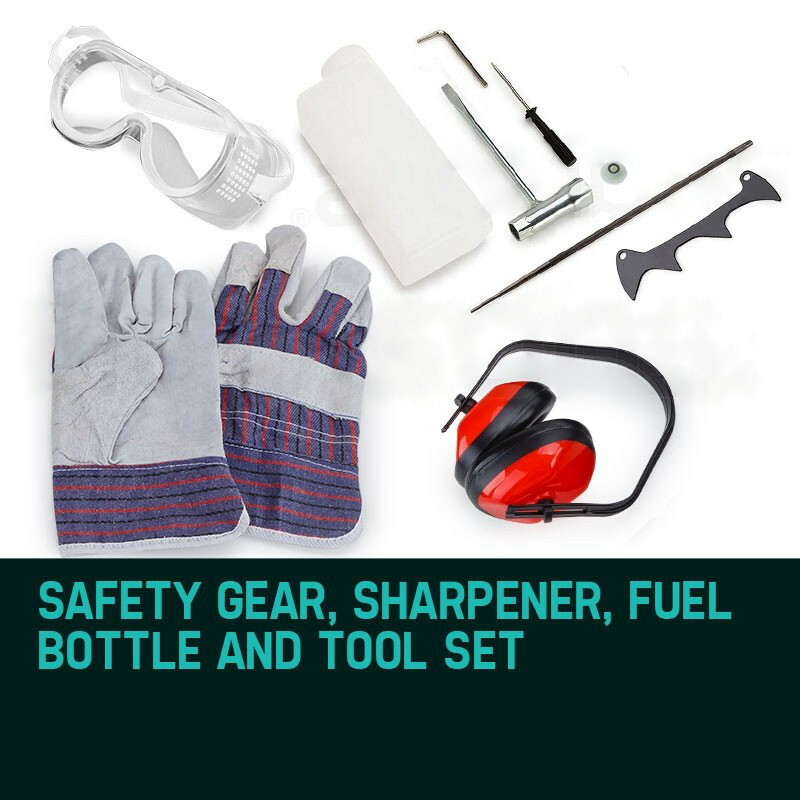 The other included extras help with assembly and ongoing maintenance, but also keep you safe during operation.